It was announced today that Gears of War: Ultimate Edition has officially “gone gold” which means development has finished, and is expected to be shipped to stores very soon. It’s also been confirmed that you can now pre-order Gears of War: Ultimate Edition on the Xbox One Store along with pre downloading. There are two versions you can purchase. Standard Edition – The landmark original “Gears of War” returns, offering a full digital game download, plus pre-order bonus items including the Adam Fenix and Civilian Anya multiplayer skins and Animated Imulsion Weapon Skin for use in multiplayer matches. 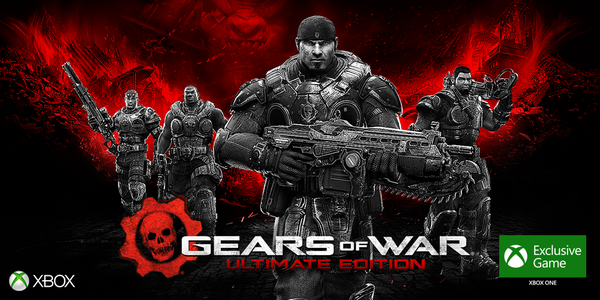 Deluxe Edition – The ultimate “Gears” experience. On top of the Standard Edition items, the Deluxe Edition also includes the Deluxe Weapon Skin Pack featuring 10 different Animated Weapon Skins and 36 standard Weapon Skins, as well as the Civilian Marcus Fenix and Aaron Griffin multiplayer characters. Gears Of War Ulimtate Edition will be out August 25th for Xbox One.